Gucci stormed the AW13 catwalks at Milan Fashion Week with stunning copper eyes – now we show you where to get the model look on any budget. What could say ‘autumn’ more than rusty hues in copper and bronze? As we move into those crisp cold days, it’s time to emulate our surroundings with dusky, warm make-up pallets. In Milan make-up artist Pat McGrath had Gucci models sporting a gorgeous copper eye-shadow on the lid and beneath the lower lash-line. The look was fresh, dewy and modern. You can team copper eye-shadow with a thick, dark mascara for an easy wearable look, or you can go edgy by leaving your eyelashes natural just as Lady Gaga’s been doing recently. This accentuates the eye’s almond shape and gives a very distinctive look. Apply dry – If you’re going for the soft, natural style apply this gorgeous baked shadow dry. The powder can be easily blended with earthy tones such as brown or beige – ideal for those more conservative occasions such as job interviews and meetings. Apply wet – Dip your make-up brush into a pot of water and get ready to create art. With water the baked powder adopts a thicker consistency which creates a bold, vivid look perfect for nights out. 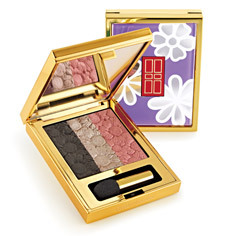 For something more middle-of-the-range, try No 7 Stay Perfect Eye-Shadow. This trio is subdued but versatile, with an option to build and blend colour to add definition. Apply the lightest shade as a highlighter over the whole lid right to the brow. On top of this apply the middle shade over the lid right up to the crease, then use the darkest shade on the top and bottom lash lines like a liner. For an upmarket copper that’s as sophisticated as it is sassy, try the Elizabeth Arden In Bloom Eye-Shadow Trio which offers a demure combination of dark grey, silver and copper. These can be mixed and matched for a huge range of looks suitable for the office as well as the bar later on. Interested in how to adopt all of the latest make-up trends for the coming season? Find out more about Professional Make-Up here.